On an isolated boulder, in the North-East of the sector. 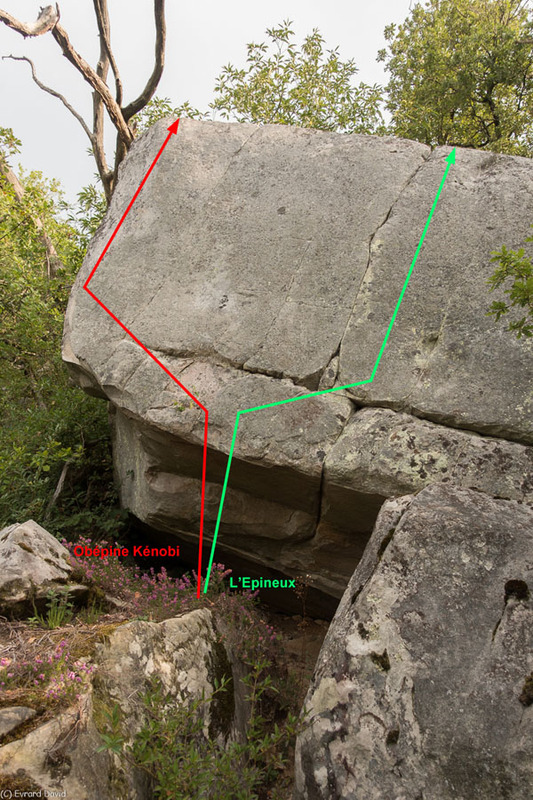 Sitstart in the overhang as for Obépine Kénobi and exit right with the crack. 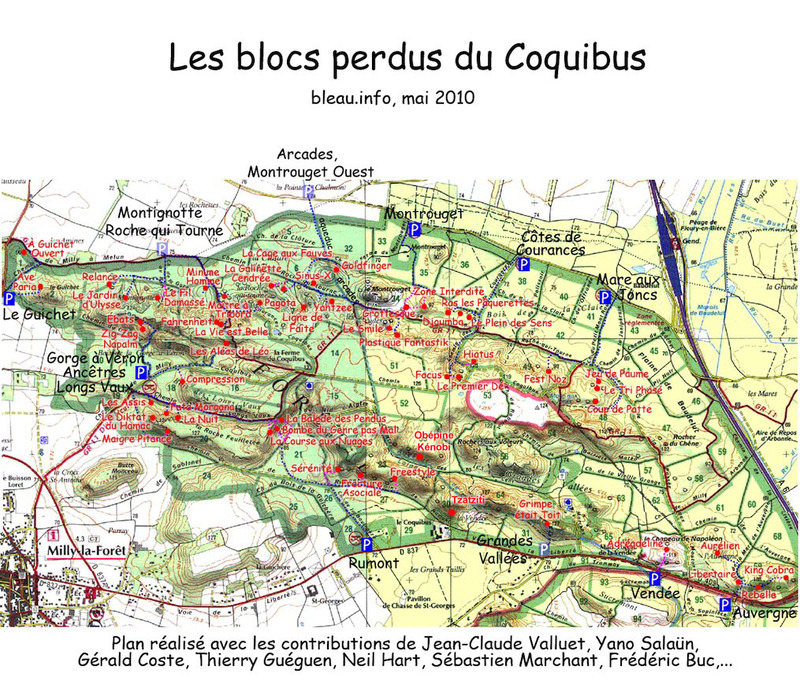 Access : from Freestyle, reach Le Chemin des 100 Marches to the North and walk 100m to the East; the boulder is 100m up the slope to the North.